When it comes to styling your home, brown doesn’t have to be a “beige” choice, unless you want it to be, of course. Just take a look at the bold and varied shades of the colour offered by our range of brown window blinds. From the rich, deep colours of earth to the near-red russet, these colours are perfect for bringing the natural world indoors. 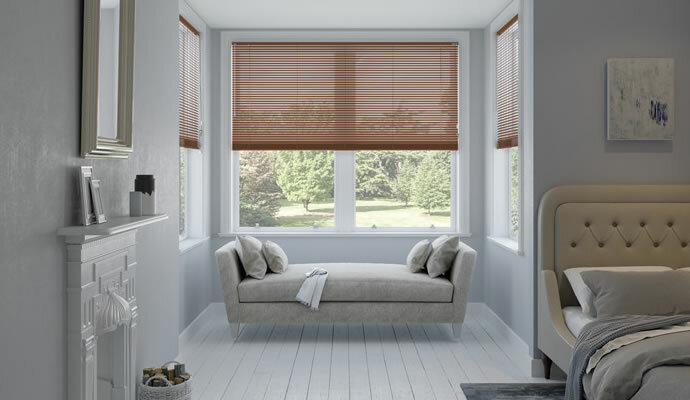 Brown blinds are also the perfect choice if you want a colour that provides a homely, earthy feel– though many decorating experts do believe that it benefits from being used in tandem with a livelier and more vibrant colour. Perfect for every room in the house – especially for windows that look out onto the rich colours of nature. 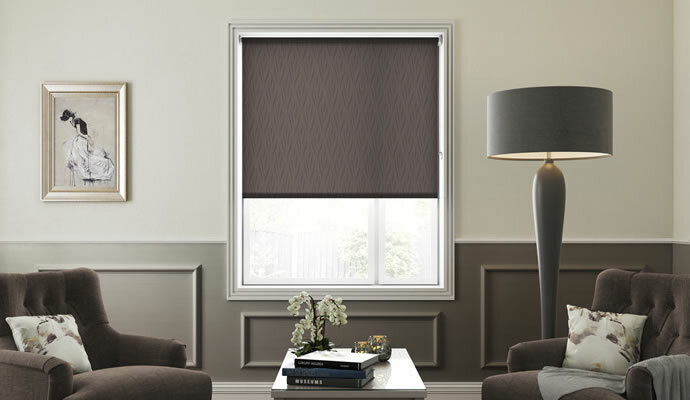 The elegance of Roman blinds can only be enhanced by the use of sumptuous brown fabrics like suede and faux silk. 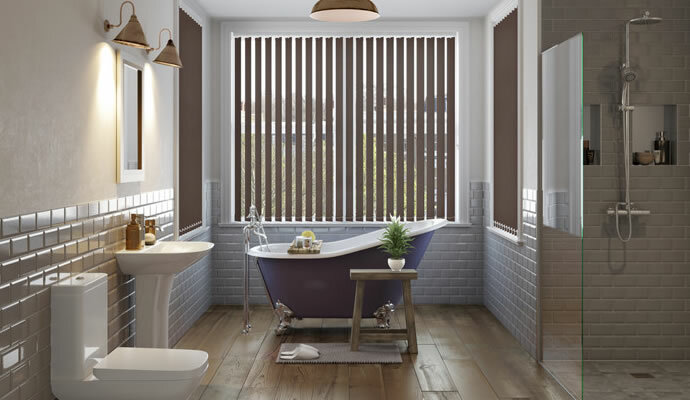 Let brown Venetian blinds bring the natural warmth of wood into your home in a range of styles from light beech to dark mahogany. 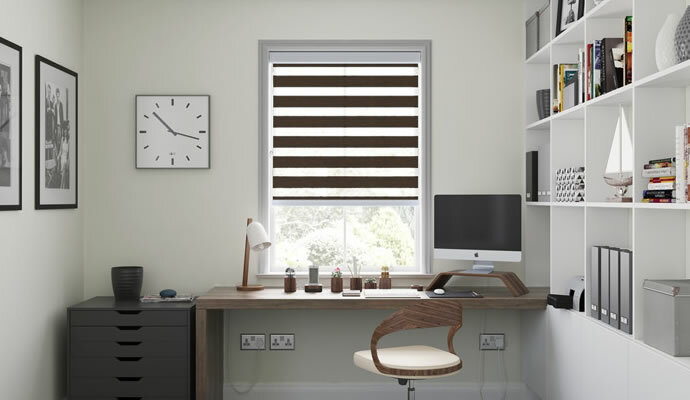 Vertical blinds work in any colour, and our range in various shades of brown are as practical as they are attractive. 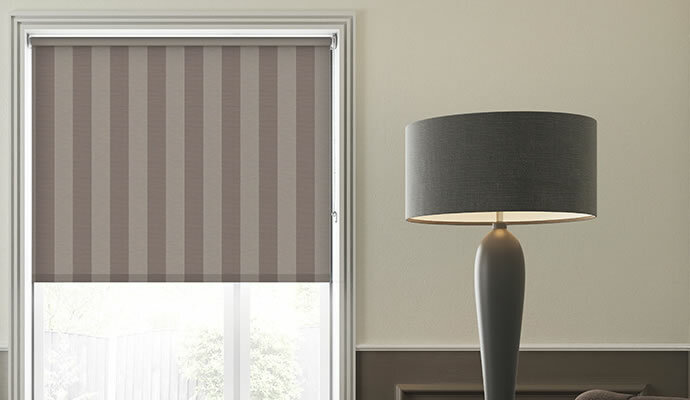 From plains to patterns, bold stripes to suede effects, brown blackout blinds can also look simply stunning. 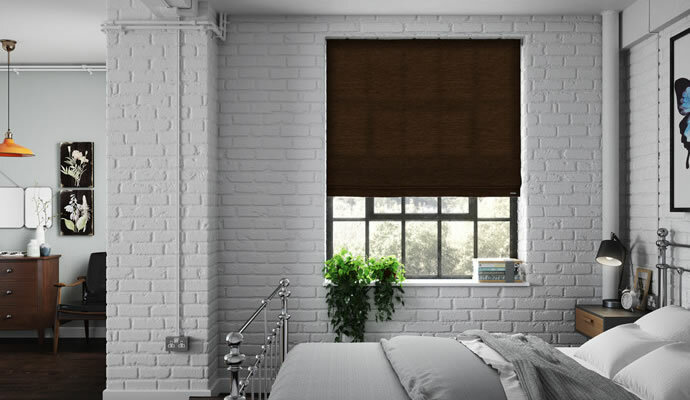 Brown is the perfect colour for Day Night blinds, especially in darker shades that help to retain heat in winter or keep rooms cool during warmer months. 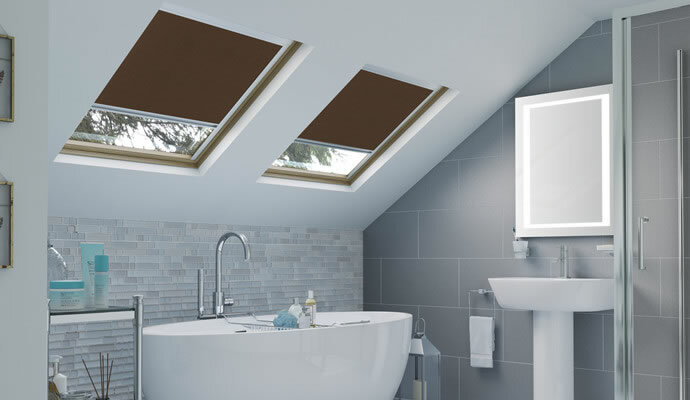 Brown blinds, purpose-made to fit the skylight windows from all major manufacturers, as well as to look fantastic.